To justify energy performance credits in LEED certification, it's necessary to create a baseline building that fulfills the ASHRAE Standard 90.1-2010. To define the envelope, installation equipment and other parts of the baseline building, a climate zone needs to be described. How are climate zones defined? ASHRAE Standard 169-2013 defines climate zones with two indicators: a number and a letter. 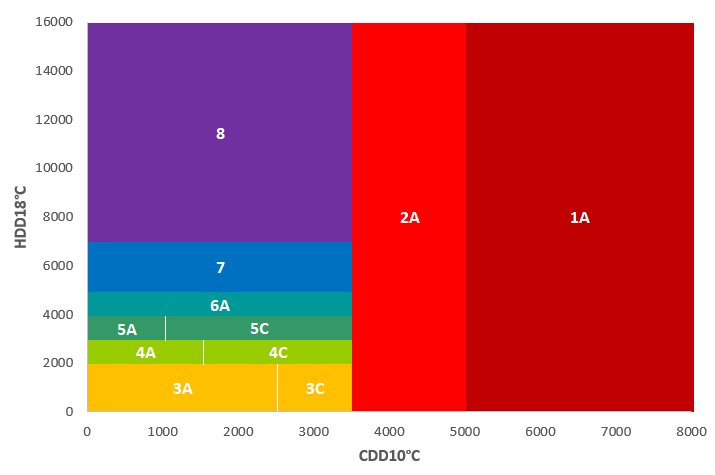 The number indicates the heating and cooling degree days and is required for the majority of ASHRAE Standard 90.1-2010 elements which depend on the climate zone. At the same time, the letter shows the humidity level and it basically affects to free-cooling and heat recovery of the baseline building. The ASHRAE 169 climate zone number defines the degree daysunit while the letter determines the humidity level. In order to get the climate zone number, the user needs to calculate the heating and cooling degree days units from a base temperature of 18℃ and 10℃ respectively. In case there is also precipitation data available, the climate zone could be defined as well. However, it will not affect the final results significantly. How to automate climate zone selection? 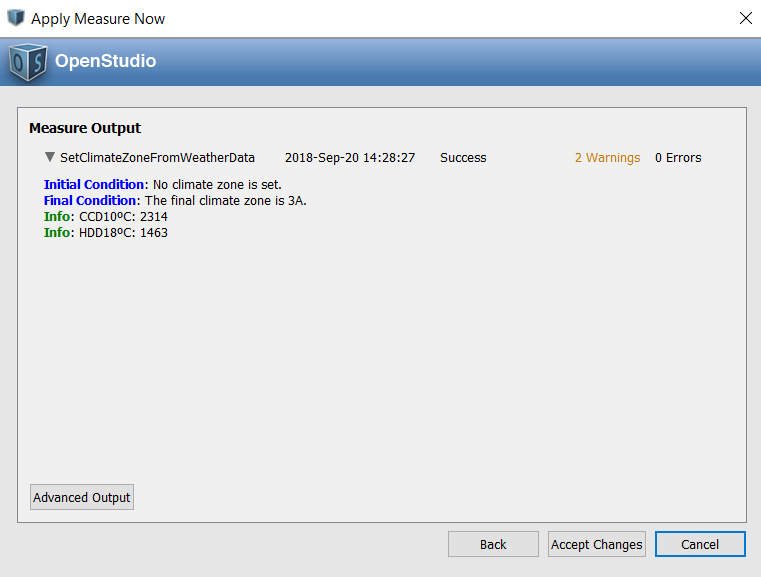 In the Openstudio-standards library there is a method that selects the climate zone from a climate file in STAT format. The STAT file is a statistic climate zone summary. Unfortunately, it is not available for all locations. 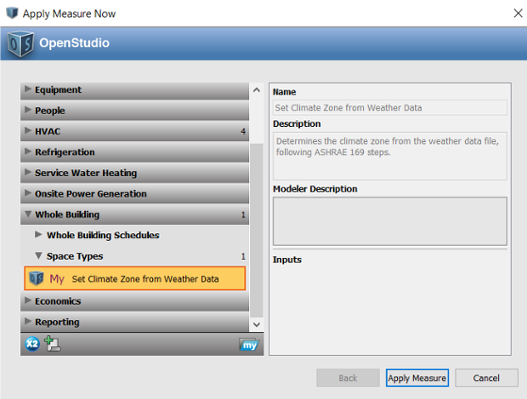 By doing so, we obtain an easier way to develop project models by automating the climate zone selection. How does the measure work? To explain how the measure works, we are going to apply it in a climate file from Barcelona city. In this case, the heating and cooling degree days are 1463 and 2314 respectively. Consequently, according to the graphic previously mentioned, Barcelona belongs to a climate zone 3A. ¿Por qué usamos OpenStudio para la simulación energética?